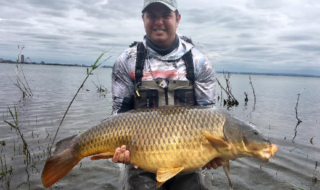 England Carp Team Manager Rob Hughes has announced the final member of the squad that will travel out to Spain for the FIPSed Carp World Championships in October. Experienced carp angler Paul Booth, an English ex-pat now living in Caspe, Spain, owns and runs Ebro Crazy Cats and is a carp and catfish guide on the river. Paul announced “It’s an honour and a privilege to have been picked as part of the squad and I hope my knowledge of the river will help bring back a victory”. Rob added “Paul’s got a long track record in carp fishing and a massive amount of experience on the river. It completes the jigsaw bringing local knowledge and he’s a great addition to the team.”. 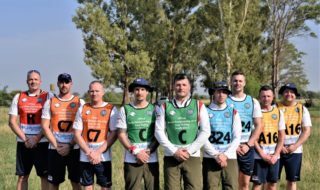 The UK based squad have held their first planning meeting and are aiming to head over to Spain for their first practice sessions in August.